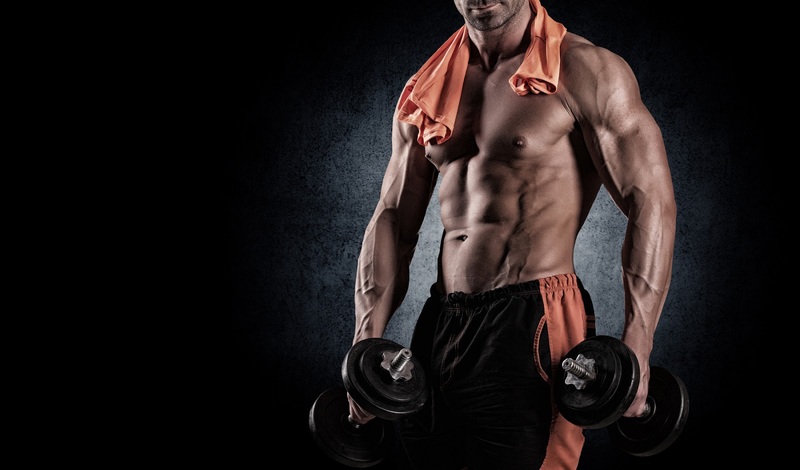 The chest is probably the one area, for most men, that rarely gets neglected, receiving more than its fair share of the workload during most workouts. This is okay if, your major goal is to have a huge chest, weak core muscles and skinny legs! On the other hand, if your goal is to create a healthy, well-proportioned body, you’ll want to incorporate some of the best exercises for each body part (muscle groups) into your workouts. I’m not suggesting that you neglect your pecs, (after all this is an article about the best pec exercises); I’m merely reminding you to maintain balanced while selecting which body parts you work to ensure symmetry. Slowly lower body (keep perfectly straight from head to toes) until your chest is one inch from the floor. Push body away from the floor until arms are straight again. You have just completed one full push-up. Repeat for desired number of repetions. There are many variations of the push-up that allow you to vary the intensity of this dynamic move. Push-ups also work the core, shoulders and triceps. Position yourself face up on a bench. Grab bar from rack with at least a shoulder width grip. Lower bar to middle of chest, pause then press bar up until arms are straight. Bench press can also be done from an incline or decline position. Dips are done from a set of parallel bars. Place one hand on each bar; arms should be straight. Lower body by bending arms until elbows are at 90° angle. Push body back up until arms are straight again. Legs can be straight or bent at knees depending on how much clearance you have. Flys can be executed from a standing, seated or lying position using dumb-bells or a cable-cross. Whether standing, seated or lying down; position hand at shoulder height, palms facing each other and touching. Keeping elbows slightly bent, slowly separate hands until hands are at sides. Bring hands back together until touching together. Let me reiterate the significance of incorporating movements for all major muscle groups, not just your favorite body parts, to formulate a balanced workout. In addition to symmetry a balanced workout is also a precursor for injury prevention. There are of course a number of chest exercises that can be performed. These are some the most effective exercise for targeting all muscles of the chest. I do recommend adding other chest exercises to your routine from time to time to keep your routine fresh and interesting.